Some College Are Building Pronouns Into Student Data Records A decade ago, one university started putting pronouns on course rosters. Today, it's not alone. "It's very invalidating, and it makes me feel invisible," says Genny Beemyn, who directs the Stonewall Center at the University of Massachusetts, Amherst and coordinates the Trans Policy Clearinghouse. Beemyn, whose pronouns are they/them, says they get misgendered "all the time." The Maryland General Assembly recently approved a bill that could make it the sixth state (along with Washington, D.C.) to include a gender-neutral option on driver's licenses. Many companies now include gender identity and expression in their nondiscrimination policies. Beemyn, with the University of Massachusetts, Amherst, says instances of protest and backlash are generally uncommon: "I think young people recognize the importance of this issue and want to be respectful of people who identify as transgender or gender nonconforming." For example, before the University of Massachusetts, Amherst adopted a system in 2018 enabling students to indicate their pronouns, Beemyn "spent more than a year going around to every faculty department" to prepare them for the change. 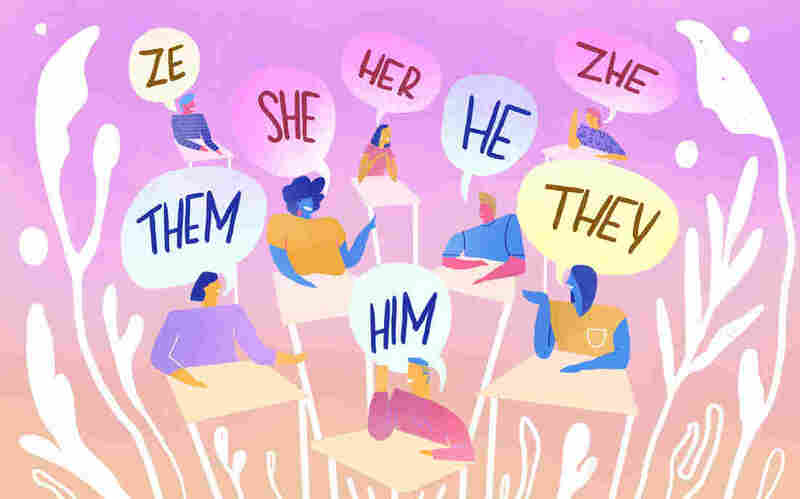 Even at schools that work to incorporate pronouns into campus life, Nicolazzo, of the University of Arizona, says there is sometimes not a deep understanding of why pronouns are important in the first place.